There are many rationales for a reader’s conviction that a book should not have gone out of print. They may be divided into two categories, a conviction that the retirement of a book was unjust, and a conviction that it was unwise. Those titles which inspire a sense of being unjustly commended to the “harbor of oblivion which awaits us all” deal with a sense of personal value, of a conviction in a book’s intrinsic worth. Those are worthy sentiments, or at least I hope they are, but we are in a more scientific frame of mind today. Our task here is to seek a standard which offers a bookselling basis, a canary in the coal mine style methodology, which reveals when a book was retired unwisely because it demonstrably still would have many sales in its future if it were to have one restored. The method I put forward involves the loss of a go to book for an evergreen need, a book which we continue to reflexively reach for to meet a customer’s stated need, only to remember, with a jolt, that it is no longer in print. Here is an example. A customer comes in wanting a picture book on ballet. 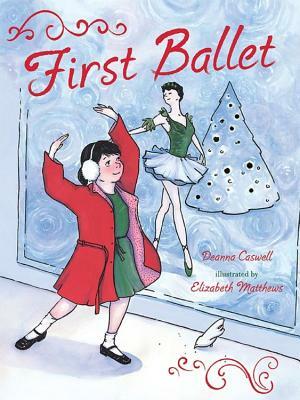 I know the perfect book: First Ballet by Deanna Caswell, with wonderful illustrations by Elizabeth Mathews. If ever a book proved the idea that less is more when it comes to picture book rhyme schemes it is First Ballet. This delightful book not only captures the magic of loving the ballet, but it captures the charm of truly being captivated by anything. I never recall showing it to a customer who was not entranced and thought it the perfect gift, especially because it is so much about sharing the love of ballet with someone else. I know that I could continue to sell it solidly as long as the world has both ballet and children. Now then, someone wants to purchase a book on fishing. 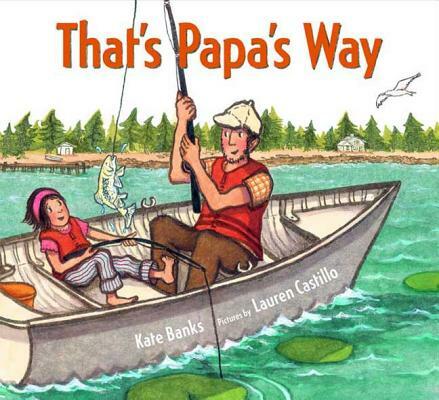 There are a few great ones out there but my go to book is, or rather was, That’s Papa’s Way by Kate Banks, with stellar illustrations by Lauren Castillo. It has gone out of print recently and I dug up my initial blurb for the book from 2009. He climbs aboard and begins to row. Dip and pull, dip and pull. washes against the side of the boat. I hope many, many people will share this book and make it the classic it deserves to be! I still hope that, or I wouldn’t be writing this, but things look bleak despite what an evergreen pleasure it is to share that book with someone. The pleasure is not surprising since That’s Papa’s Way so perfectly captures the magic of sharing something you love with someone who loves it too. Indeed, as long as there are children and fishing in the world, That’s Papa’s Way will have a ready audience. There is always a reason a book goes out of print, of course, but I think our method does point to instances when that reason was unwise and based on correctable factors for books which still have plenty of sales left in them. If you have books that meet our criteria here, please share them below! This entry was posted in Uncategorized on March 21, 2019 by Kenny Brechner. Dallas Clayton’s It’s Never Too Late – so good.